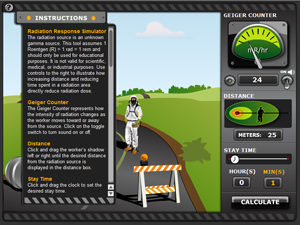 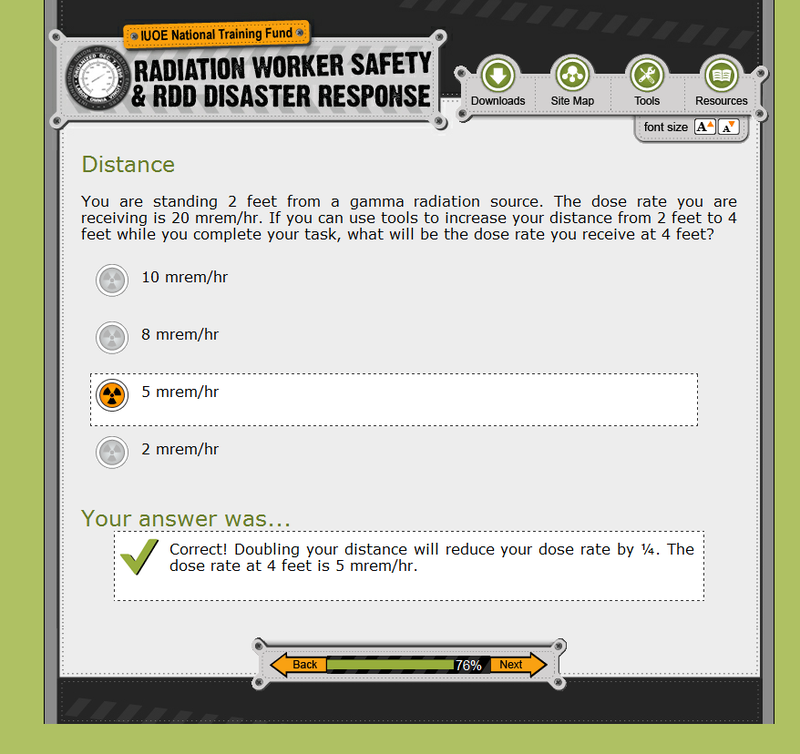 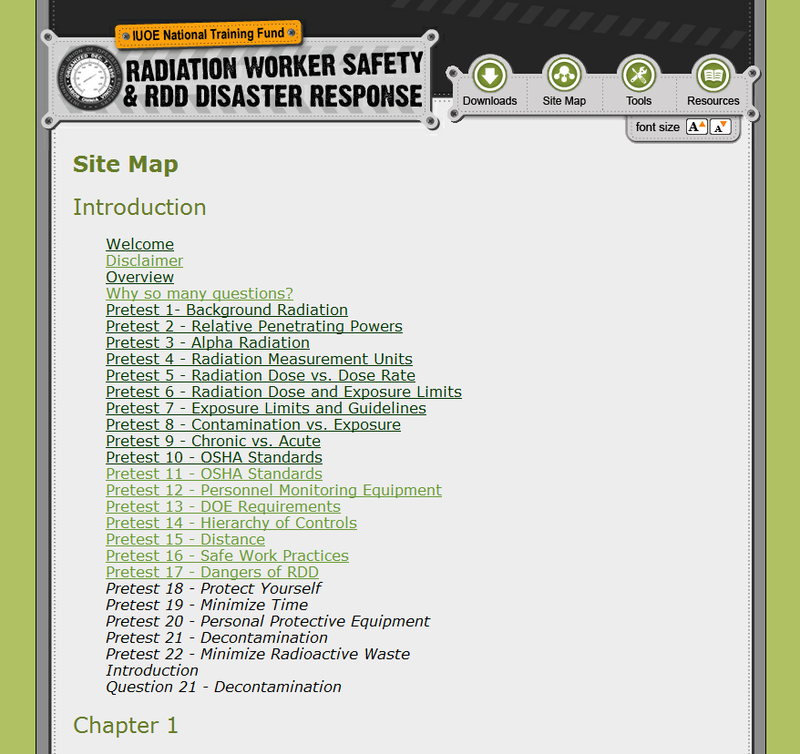 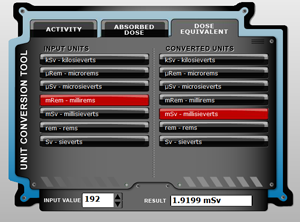 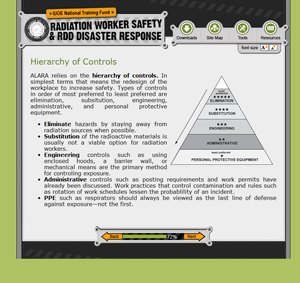 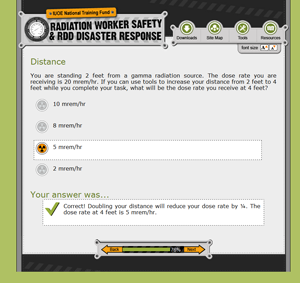 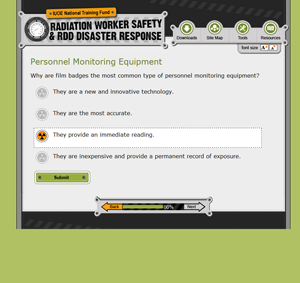 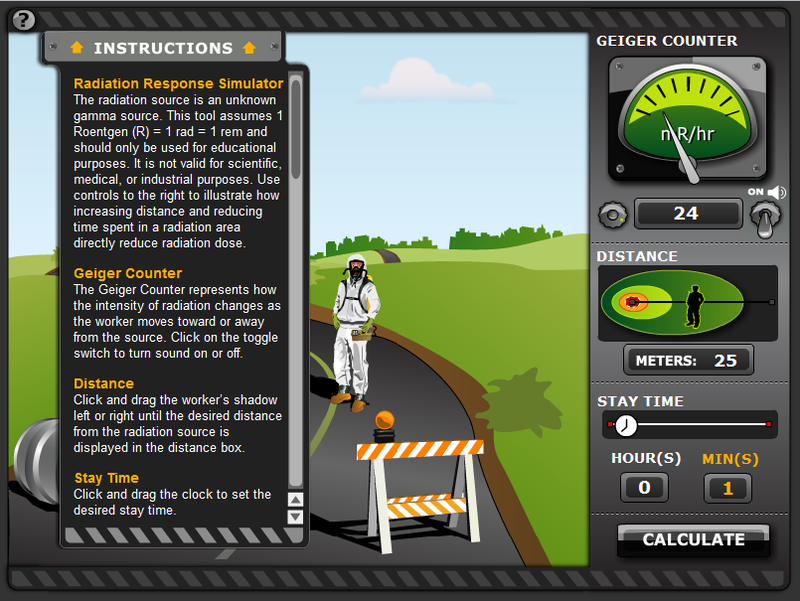 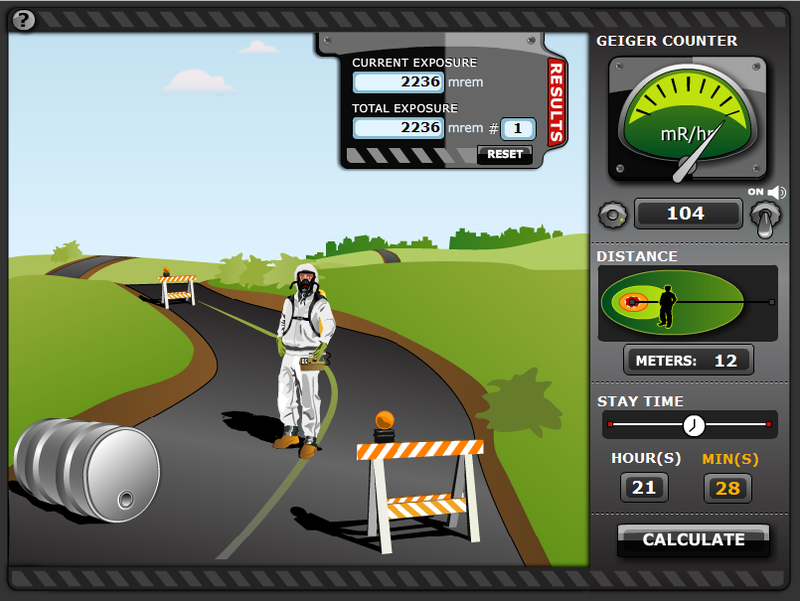 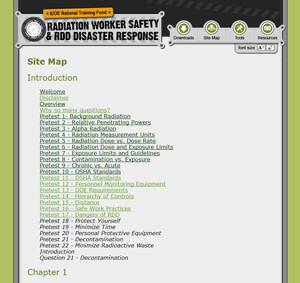 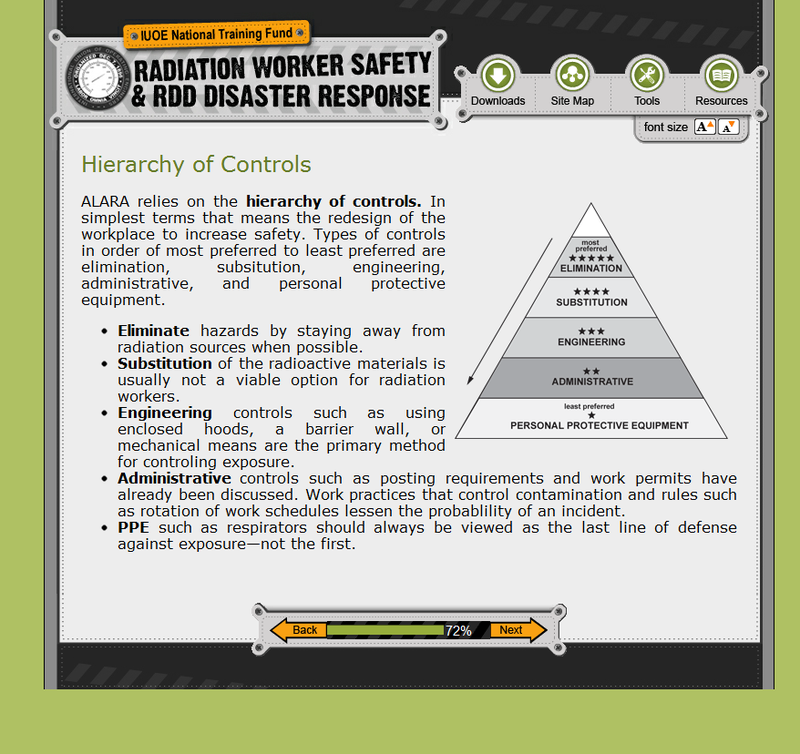 An OSHA approved online training tool to help prepare and improve workers ability to recognize and react to radiation hazards. 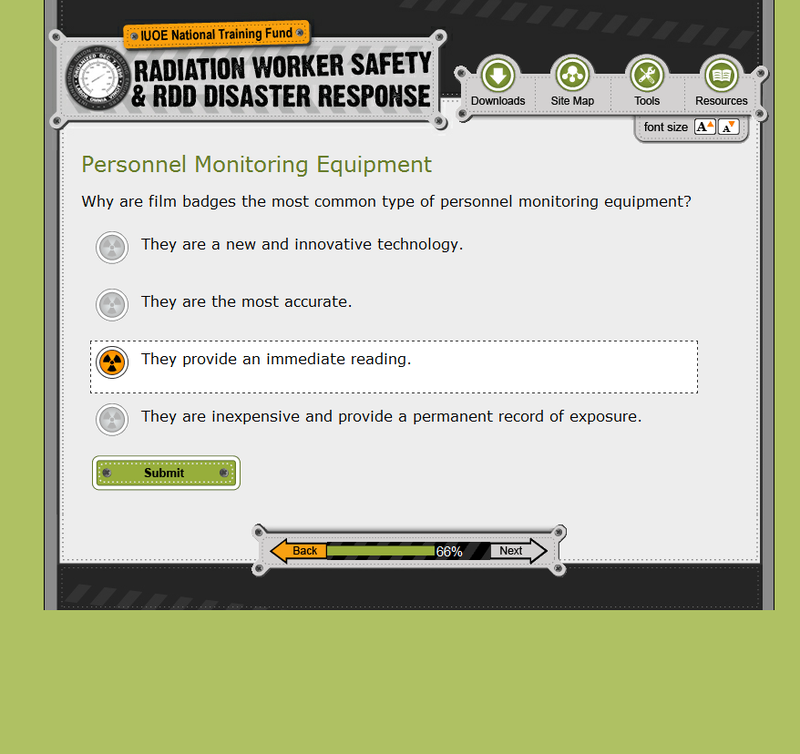 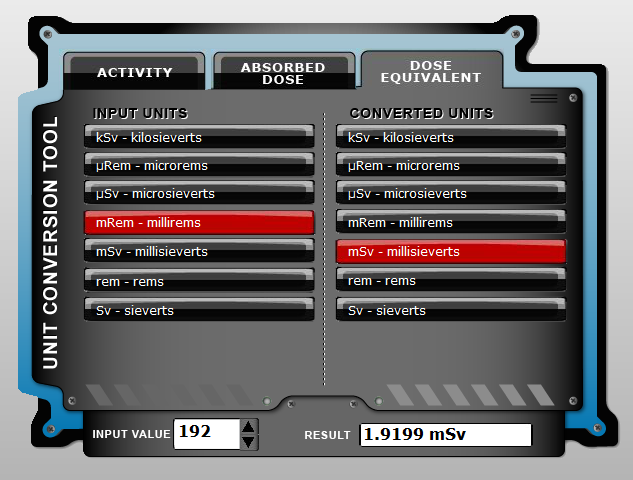 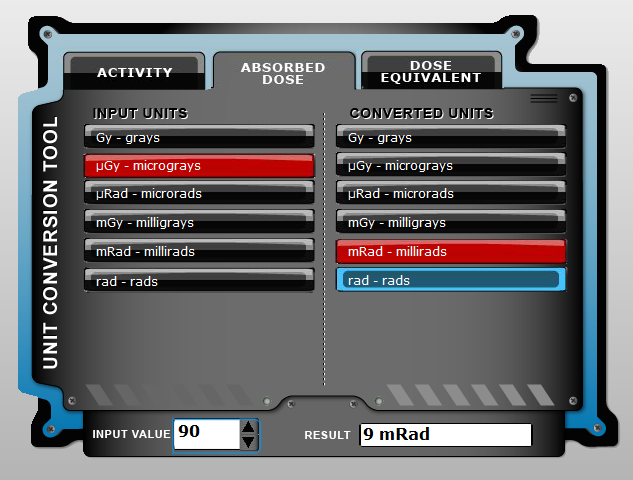 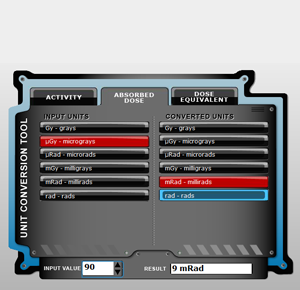 The module is a mix of flash interactives and html based content and self grading multiple choice questions. 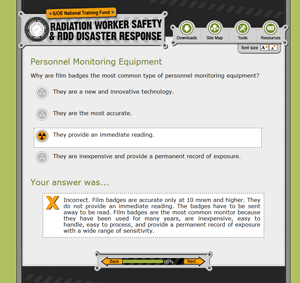 The questions also scaffold, so incorrect answers tell you why they are incorrect and correct ones reinforce why they are correct.